Brother DCP-395cn Printer The acquirement of your NEW Brother DCP-395cn ink cartridges is a fundamental necessity in order to keep your DCP-395cn printer functioning regularly! 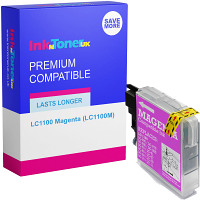 - InkNTonerUK are a supreme retailer via the web, who aid in vending the essential ink cartridges for your Brother DCP-395cn printer for costs that make money-saving a feasibility! The quality our Brother DCP-395cn ink cartridges deliver are nothing slighter than the upmost premium quality achievable, generating clear/vibrant prints of imagery and documentation every time! 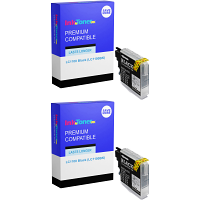 - There's not much to consider, do what our expansive selection of satisfied patrons did, obtain your NEW Brother DCP-395cn right here at InkNTonerUK! The Brother DCP-395cn has a comprehensive miscellany as to why it can be made of function! 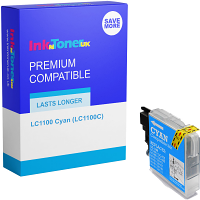 It's capability in producing first class prints on a multiplicity of media types ranging from; diverse variations of paper Envelopes & cards and MORE, and prints at speeds of UP TOO; 33 PPM (Prints per minute) in Mono (Black) and 27 PPM in Colour make your NEW Brother DCP-395cn ink cartridges excel in a variety of ways! Being a resourceful and constructive 'All-in-one' mechanism, the Brother DCP-395cn is simply operated in any of location which makes usage of printing, principally smaller medium sized offices, and for general home usage! 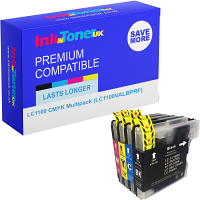 - Now you've selected us at InkNTonerUK to be your source of purchase of your NEW high-quality Brother DCP-395cn ink cartridges, getting more function from your DCP-395cn printer is of simplicity! 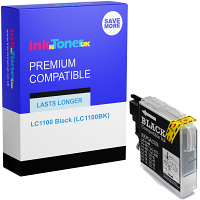 This product is 'Energy Star' qualified, an assisting cost-effective advantage to go with your NEW Brother DCP-395cn ink cartridges - InkNTonerUK work hard to find you the cheapest costs to save you money in the long-term, so 'Bookmark' this page for no difficulty in getting where you are now each time you necessitate purchase of NEW Brother DCP-395cn ink cartridges!